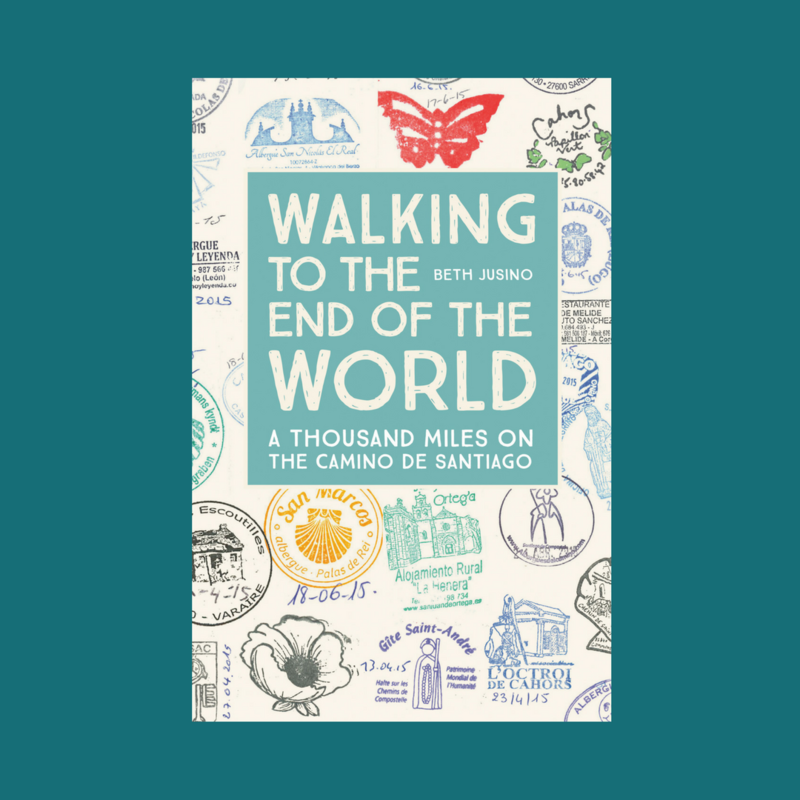 Two months from today, if all goes according to plan, Laurel and I will be walking from Santo Domingo de Calzada (the chicken church!) to Belorado, where it’s 91 degrees (32 Celsius) and sunny. But here in Seattle, we’re still in the depths of “Juneuary,” and summer seems a long way away. 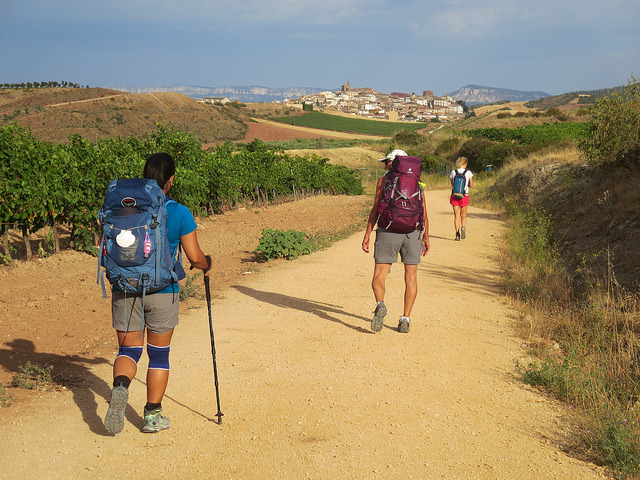 Most days are overcast and damp, I still need a long-sleeved shirt for my training walks, and it’s hard to imagine sweating my way across Rioja. This is the Condom Cathedral in the province of Gers, France. It was an overcast day with an occasional light rain, which made it hard to find a dry patch of ground to sit and rest along the way. The day before I’d had a rough walk into La Romieu, so Eric and I distracted and entertained each other for hours with ideas for the best mottos or tourist slogans for Condom. Unfortunately, “come inside” was not going to happen in Condom that day. It was May 1, which is evidently a much bigger holiday in France than it is in the United States. In Seattle, May Day traffic might be snarled by a few labor marches, but business pretty much continues as normal. In France, not only does everything shut down, but the people all disappear. In a town of 7,000, we didn’t see a single local. Even the bars and coffee shops were closed. A few tourists braved the drizzle to take photos with a life-sized statue of D’Artagnan, who was born in a castle in Condom, and the three musketeers. But they, too, scurried quickly out of sight. Eric and I sat in the cathedral square and ate a meager picnic of leftovers while we tried to formulate a plan. We’d walked quickly and arrived in town early, hoping to shop for a few supplies, but that clearly wasn’t going to happen. We had a few more kilometers to walk that day to reach our gite in Larresingle (a stop that turned out to be one of my favorite gites of the Via Podiensis), but it was too early to go. They wouldn’t be open for another few hours. The only thing open in Condom was the cathedral, so we ducked inside. By this point the novelty of “ooh, a really, really big building with amazing architecture and beautiful stained glass, and it’s a gazillion years old” had started to wear off. We’d been in at least a dozen cathedrals of this size, many older. But the cathedral of Condom stole my heart. Built at the turn of the sixteenth century, it is all white marble and delicate carvings and impossibly high Gothic arches. The flat grey light outside filtered through hundreds of panels of stained glass that ringed the top of the building, seemingly too delicate to hold up the roof. Each pillar supported a saint, apostle, king, or angel—Renaissance works that felt real. The original pulpit box still rose above the pews, and a painting of a glowering God looked down from the underside of the pulpit canopy on whoever was brave enough to stand there and offer their thoughts. A few tourists and visitors wandered the aisles, and a painter stood at an easel, trying to capture the space. We lingered for at least an hour in the church, soaking in the details (and not soaking in the rain, before it was time to walk on. But not before I caught the photo of a gentle day.